I have found that during the Daniel Fast I used a lot more spices and have found a huge love for the flavor of it! 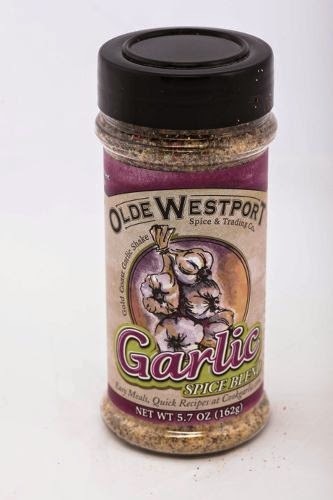 I was very excited to sample and taste the Gold Coast Garlic from Olde Westport Spice. It is fantastic! It is great on a variety of foods... my favorite is on asparagus! The Chili spice blend is great to add in some homemade salsa for chips n dip! Overall spices add more flavor to food and Olde Westport Spice Company has some great spices and a huge variety.